Frequency Coverage: 40 - 15 m (30-10m modified). 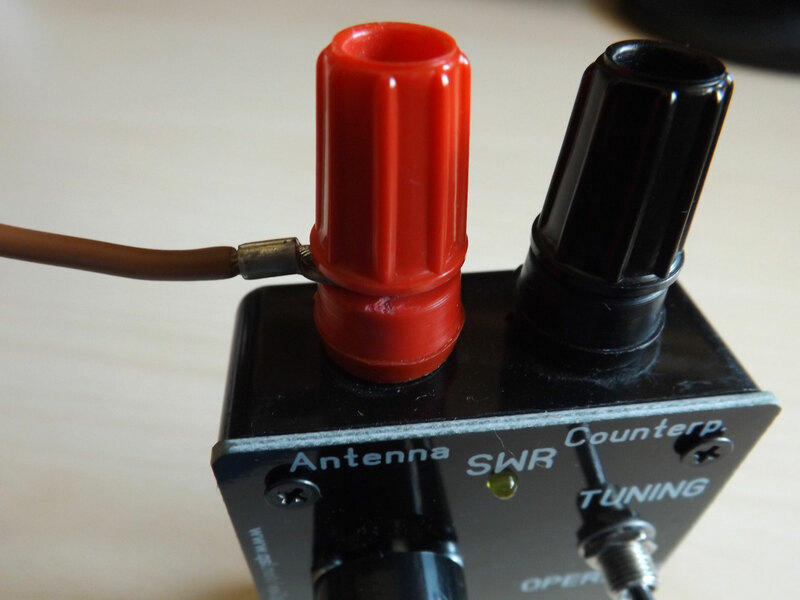 Antenna type: "end-fed" or "zeppelin"
5 watts CW 10 watts P.E.P. Only weighs about 100 gr. 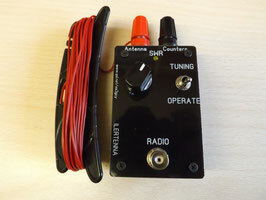 Connectors and controls: Tune. Tuning/Operate switch. Antenna sockets. BNC to Radio. All components. Box, PCB, knob, connectors and "winder" roll-up stand included. Antenna wire no included. 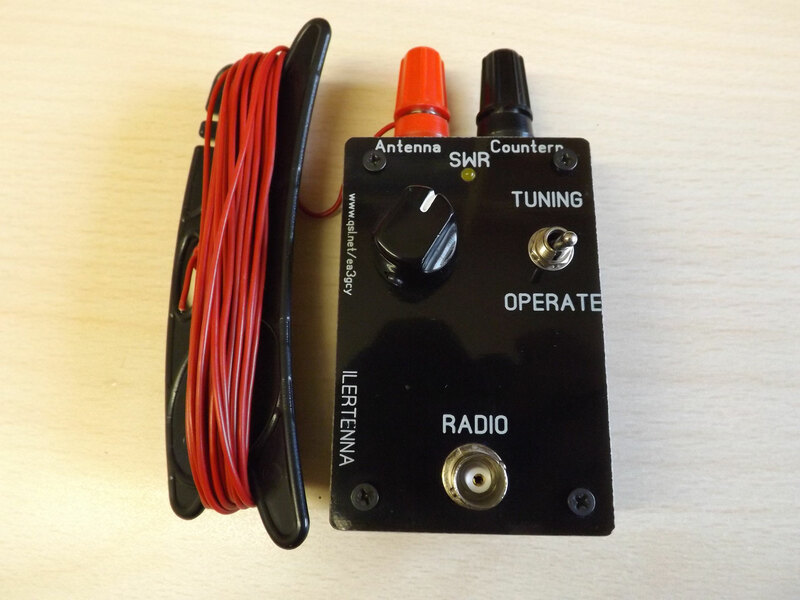 The light weight and small size make this tuner ideal for SOTA, backpacker and traveler. Because of his size, you won't even notice it in your luggage as you travel. 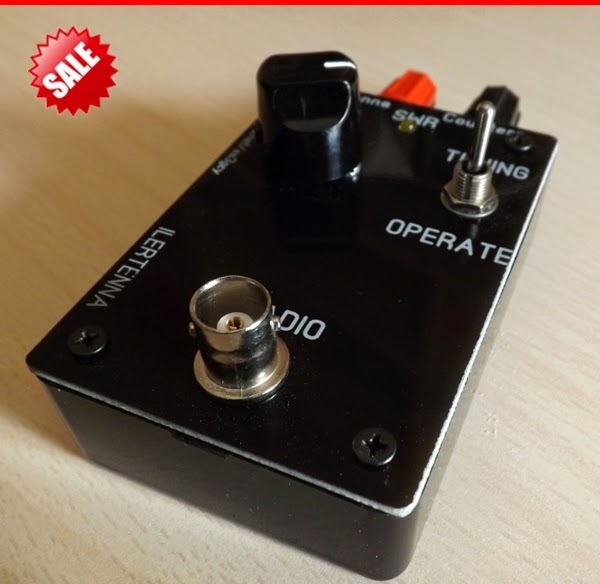 This tuner is ideal for people who like to take a small rigs like ILERs, EGV-40, BITX, FT817 etc..
Obviously, installing an antenna fed by its end is really very comfortable. In practice, especially for QRP enthusiasts who like to do field trips, has important advantages: only need a fastening point, usually a tree, a fishing rod etc. 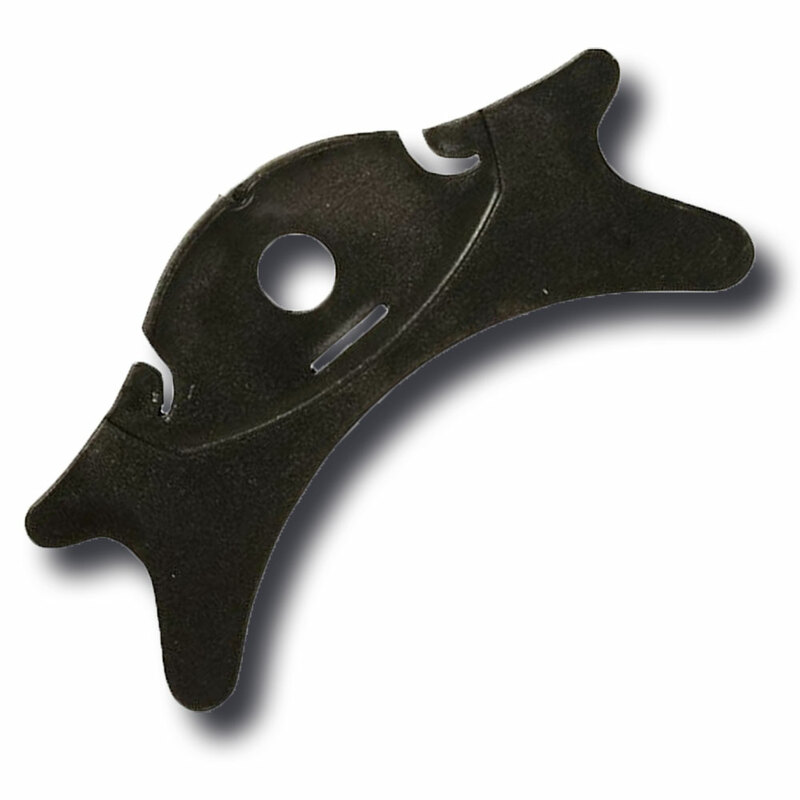 and requires little or no coaxial cable, thus saving weight in the backpack.